For those of you who care about details, this shot was taken at 34mm, ISO 1600, f2.8, 1/30 of a second. Converted to sepia toning in Lightroom 4. Love this collection of shoes, this healthy obsession of yours, this heart full of love and grace and movement and encouragement that you have created with dance! 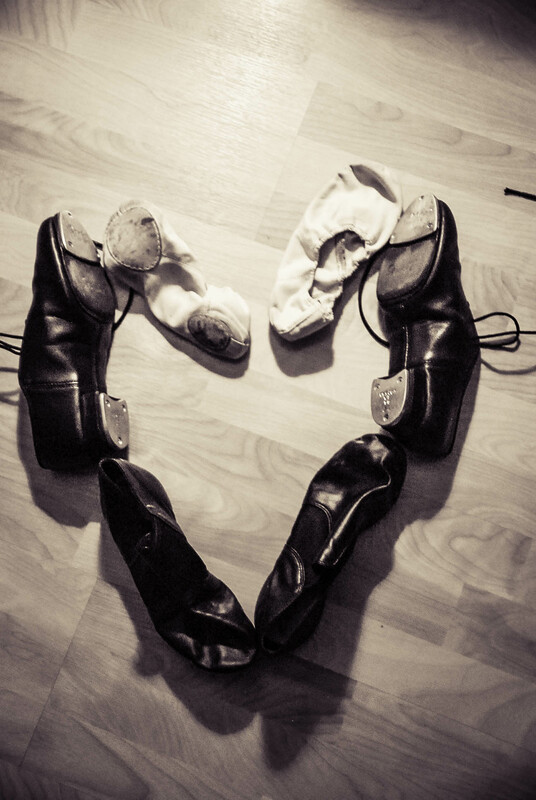 Love the wrinkles in the ballet and jazz shoes and the shape of the heart! Love this photograph! Yes I am:) And don’t worry about not posting daily…I haven’t been doing it every day either! Great idea! Very creative! I didn’t realize you were a dancer, cool.